Your home for affordable New and Used Office Furniture in Houston, Texas! 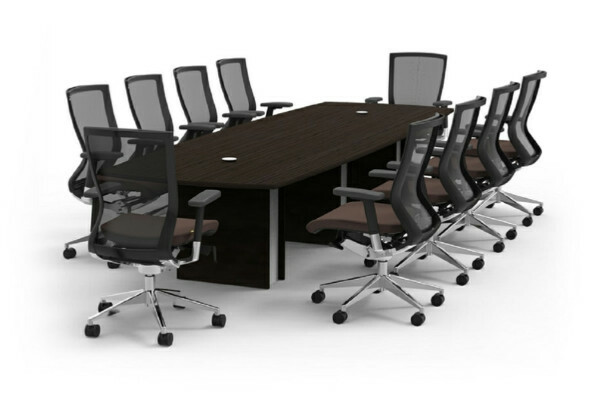 At Clear Choice Office Solutions, we offer a wide selection of new and used office furniture in Houston, Texas. We have a variety of designs and office furniture products from top name brands like Cherryman, Allsteel, Friant, Steelcase, Herman Miller, Haworth, and many others. Clear Choice Office Solutions carries a full line of brand name cubicles, desks, chairs, file cabinets, conference tables, reception desks, and office seating. Our experience and helpful staff can provide onsite consultations and project management for all your new and used office furniture needs. We are the home for affordable office furniture in Houston. From a single suite to entire floors of contemporary office furniture, we have the expertise to deal with even the most extensive orders. 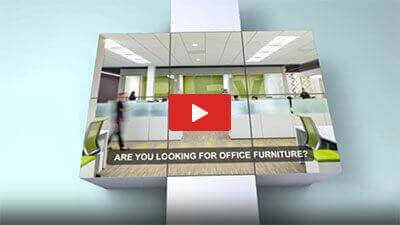 Our many years of experience in the Houston office furniture industry have enabled us to become the most extensive resource for all of your office furniture needs. Clear Choice Office Solutions will manage every aspect of your office furniture project, from inception to completion. Whether you want to reuse your existing furniture or acquire new furniture, in Houston we are your total office furniture solution for those products and services. We focus on viable solutions, ergonomic furniture, and new and used office furniture that adapts to the user and their ever-changing work environment. Clear Choice Office Solutions is your leader in new and used desks and office seating, providing office furniture to Houston, Texas and beyond. Pre-owned office furniture gets a bad rap. Everyone assumes pre-owned furniture must be worn out, uncomfortable, and in disrepair. Yet everything in your office is “used” the day after it’s installed. A piece of used office furniture can be anywhere from a few years old to a few days. It doesn’t matter if a chair is old as long as it functions, looks and feels like new. Our wide variety of new and used office tables can be used in conference rooms, break rooms, lunch rooms, or for training room purposes. We combine business-quality surfaces in conference rooms with storage accessories to organize meeting space. Our top grade collection of business quality tabletops will provide the ideal space needed in any conference room, break room or training space. Let us plan your workstations Houston! We represent a very large number of cubicles and “open office” furniture manufacturers and can craft a solution to meet your budget, aesthetics and workplace requirements. There are literally dozens of options to choose from when it comes to buying cubicles and office furniture. Do you want to upgrade an old work area, furnish new work space, then make sure you choose the correct cubicles for your office space? We have the experts and necessary services that can help you design a great office work space. We have one of the largest selections of new and used cubicle selections in Houston, Texas. 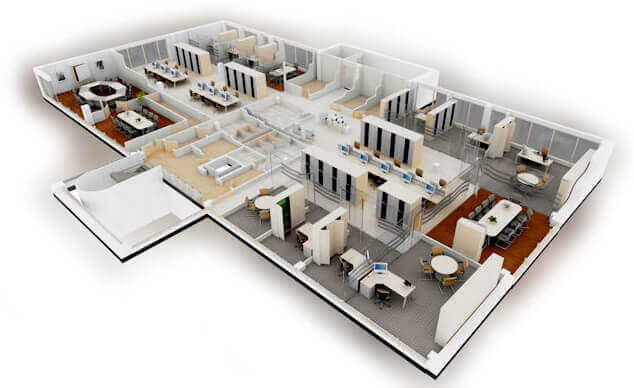 Clear Choice Office Solutions also offers Commercial Relocation services. Whether you are moving your office furniture in Houston across the city or down the hallway, we will assist in every aspect of the project. We have the expertise and equipment required to take on any and all of your office relocation needs. As with any business activity, planning and organization are basic factors to a successful office move, and time means money. As a full service commercial mover, Clear Choice Office Solutions is dedicated to providing economical, turn-key office relocation and storage services. In identifying the ideal Commercial Moving Company for an office relocation, you will naturally tend to focus on aspects like professionalism, experience, cost effectiveness and reliability. Nonetheless, you still need another set of requirements on your list that fall in the ‘office furniture value added services.’.. If your company is relocating and needs to liquidate some of its office furniture in Houston, we can help. We are Houston’s leading office liquidator of cubicles, office desks, chairs, files and more. We are aim to exceed customer expectations in each and every scenario, and we are excited to work with each client until they are completely satisfied. – Clear Choice Office Solutions has spearheaded the battle against the disposal of solid hazardous waste to the landfill for years. We have substantially reduced the amount of waste that go to landfills by selling pre-owned office furniture that include; cubicles, chairs, desks, and cabinets. Our wide spectrum of clientele, whether big or small, understand that using refurbished and recycled furniture is financially, environmentally, and aesthetically wise for a business.. Read More! No one does new and used office furniture in Houston, Texas better than we do! We have a huge selection of new & pre-owned furniture for any style or budget. From design to installation, trust us to build a better workspace!